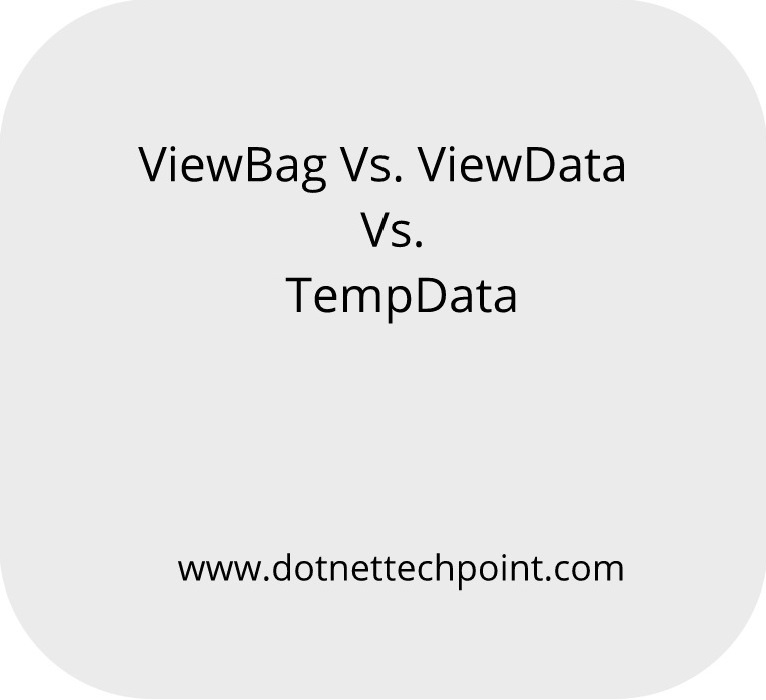 In this article we will learn what is ViewData, ViewBag and TempData in ASP.NET MVC. We will talk about each and every step by step definition with practically. 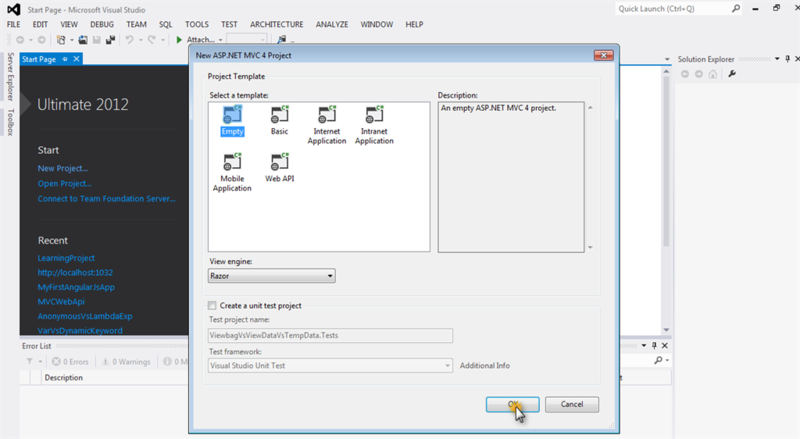 Let us create an ASP.NET application. 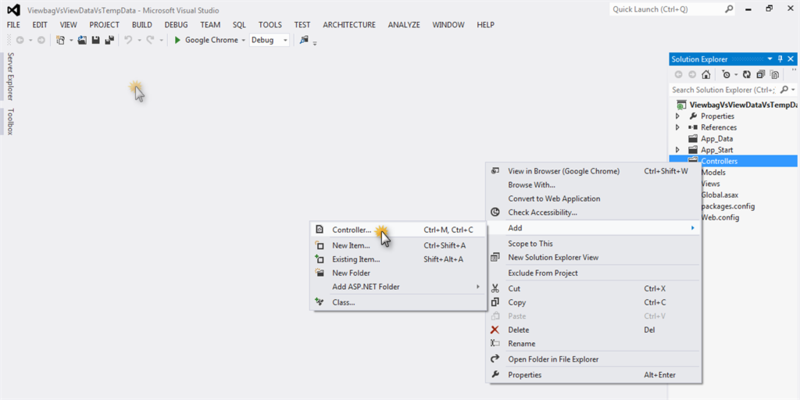 Open Visual Studio go to below step. Click on OK button then below dialog box will appear. Now select empty template and then click on OK button and then our project is created successfully. Now add a controller. 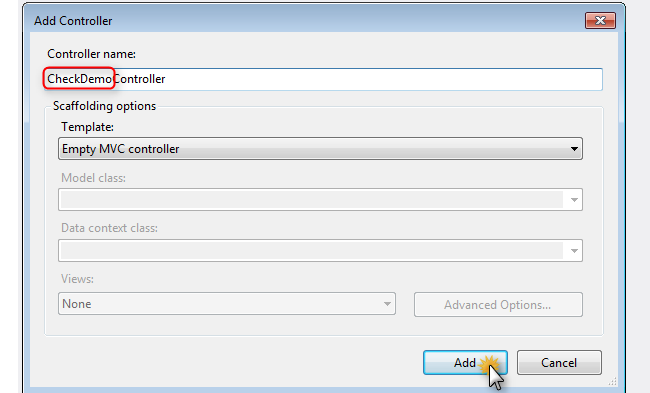 Right click on controller and choose Add and then select Controller. Now dialog box will appear below. Click over Controller and add controller with name "CheckDemo" then below dialog box will appear. Click Add button. Now create a Action method which name “SayHello,” and it contains the information which we will pass in view available in controller. View Data: It is an object of ViewDataDictionary type. It contains the value like array notation. It is a wrapper for viewdata. 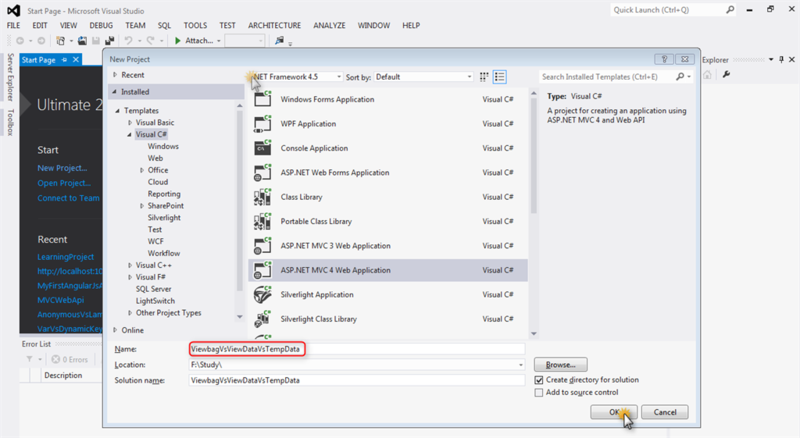 It performs same functionality but it is a dynamic property that takes advantage of the new dynamic features in C# 4.0. It is dot(.) notation . It does not need to type cast. Same ActionResult I used ViewBag like. Code is given beow. Those values enter this textbox that value stores in TempData and shows tempdata value in other ActionResult (ShowMessage) view. 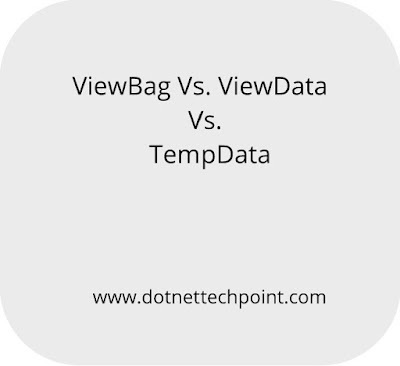 Conclusion: In this article we have learnt that what is ViewBag, ViewData and TempData and how to use it step by step practically.